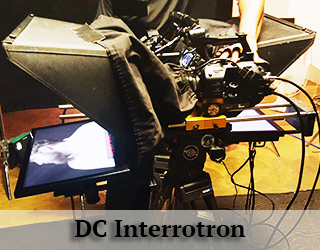 Price: $945/10 Hour Day Delivered with an experienced technician.The Interrotron Mark III contains two separate units:The Director’s Unit comes with its own camera, lens, tripod, hood, mirror, mounting plate and a professional 16 X 9 camera monitor. It can accept any signal your camera outputs (HDMI, HD-SDI, Component, Composite). 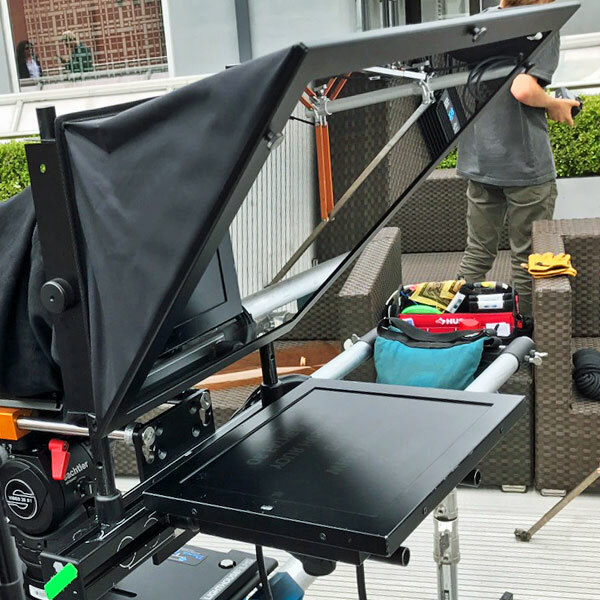 This allows the director to not only have a “face-to-face” conversation with the talent but also allows him/her to judge framing, exposure, depth of field, focus, color saturation, etc.The Talent Unit is built on a modified, professional teleprompter platform. It includes a large 16 X 9 full HD monitor, sized to correctly display a human face in the correct proportion. Our sliding 15mm, double gold plate mounting system will easily accommodate any camera and, if desired, also support a zoom lens. 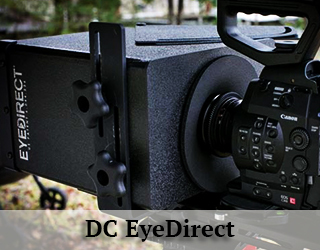 Price: $250 per day | $750 weeklyAvailable for in-office pickup and return only.The EyeDirect functions like an Interrotron but uses a simple mirror system to achieve the effect of the talent seeing the director’s face in front of the lens. Price: $945/10 Hour DayDelivered by a professional operator. The Presidential Prompter a.k.a. 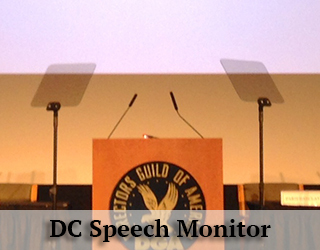 “Speech Prompter” is the standard device of choice for speaking to an audience from a podium. Every president since Dwight D. Eisenhower has used one.It consists of two glass panels on thin steel rods which are positioned one on either side of the podium. The audience can see right through the clear glass so the speaker’s face is not blocked from view, but he/she can clearly see the text reflected in the two-way mirrored glass. For this reason, the device is sometimes called the “invisible teleprompter”.We have prompted for every president since Gerald Ford with our Presidential Prompters. We are regularly called to the United Nations to prompt for visiting Heads of State.Since this type of prompter is most commonly used for live productions, all of our skilled operators carry a backup laptop. He/she is also experienced in keeping up with talent (speeding up, slowing down and pausing the scroll as needed), even if the speaker strays off script. Price: $745 Two 19″ Monitors ($95 per additional Monitor).$645 One 32″ or 36″ Monitor on a low black stand ($125 per additional unit).The size and number of monitors vary depending on the venue and preference of the client. For larger monitors or unique setups, please call us at 917-414-5489.Delivered by a professional operator.It’s common for most speakers to stand behind the podium, although some performers like to walk around the stage and at times actually go out into the audience itself. 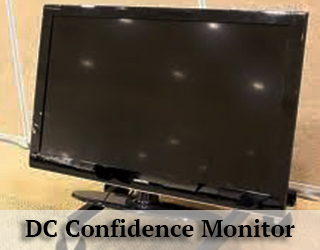 In cases like this, we suggest you use one or more of our Confidence Monitors. 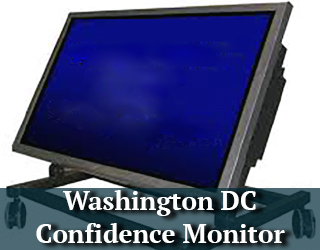 These are small, “flat screen” HD monitors which can receive any signal from teleprompter software.The monitor can be placed on the stage floor, or on a rolling stand placed on or offstage. We can also provide “back of the house” monitors. These monitors are larger than those used on stage and are placed, as the name suggests, at the back of the room behind the audience. Washington, DCTeleprompterRental.com has been helping politicians and normal folk deliver better, more interesting speeches for quite some time. Often, our services are required at various locations both inside and outside. 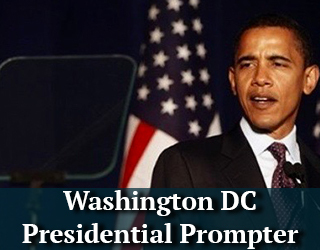 We offer a variety of prompters, including Presidential Teleprompters (How apt is that? 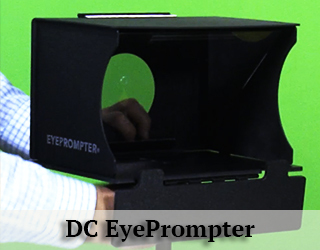 ), Confidence Monitors, Battery-powered Teleprompters and even iPad prompters. We love this city. There’s never a dull moment.And now, come with me and reflect on some fun facts.Washington DC is an incredible city on many levels. It is unique in that the Constitution designated it as the nation’s capital. It houses the three branches of the federal government, as well as the Supreme Court. It has several architectural wonders, the White House, the Washington National Cathedral, the Thomas Jefferson Memorial, the United States Capitol, the Lincoln Memorial and the Vietnam Veterans Memorial. Washington is also home to many monuments and museums. Prominent among them is the Smithsonian Institution under whose auspices at least 19 museums and the National Zoo, are all free to the public. It has a distinctive allure, both for locals and tourists from around the world. It is a center of power and an inviting place to visit. Some of us at TeleprompterRental.com call it home. Our Teleprompter Speech coaches work with your talent either just before their on camera appearance or even days or weeks earlier. The idea is to get professional help in delivering a confident, relaxed, effective performance before a teleprompter.Our coaches will come to your place of business, sound stage or set with a teleprompter or presidential prompter and camera. Your talent will rehearse his/her speech with continual input from the coach. Each iteration of the speech will be recorded on camera and later given to the talent so they can review the video, hear the coach’s comments and visibly track their progress.If the performance or speech for you or your client is really important you may want to consider prior training with a professional coach. Bob Elliot is our Washington DC office manager. He handles equipment rentals and vendor scheduling in the area. He has been working with American Movie Company since 2013.His favorite films include the original Star Wars trilogy, Top Gun and High Anxiety. He’s an avid viewer of Game of Thrones, The Office (reruns) and The Blacklist. Bash acts as Bob’s second in command. He loves the outdoors and relaxing in the sun. Alicia Wilson graduated from New York University with a degree in Film/TV and Acting. While studying, Alicia performed in a number of plays and student films. She also acted as a producer, writer and camera operator on both her own and her peers’ projects. One day, Alicia found herself on set as a production assistant for a green screen studio shoot with American Movie Company. She began working with them frequently, and soon became a full time teleprompter operator operating in the NYC area. 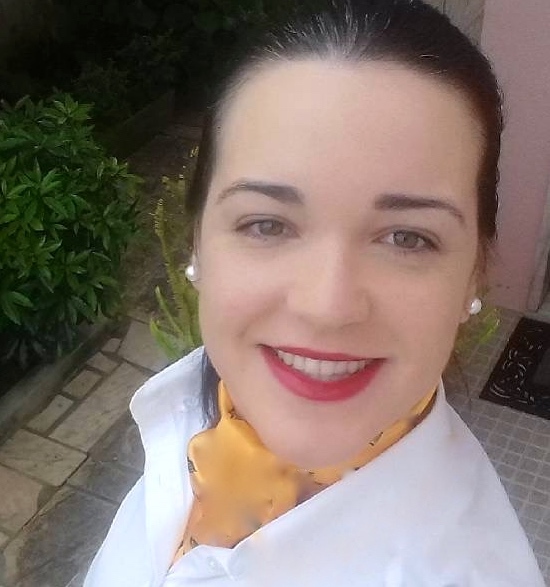 3 years after graduation, Alicia moved to Washington DC, where she still acts as an operator. I work for a local production company here in Washington, D.C. It’s cutting edge, progressive and highly successful. We are often called upon to provide both film crews and equipment for political events.The two most popular items are the Standard Through-the-lens Prompter and the Presidential Teleprompter.We also offer Speech coaches to work closely with your talent to help them improve their performance. In essence, we offer it all! 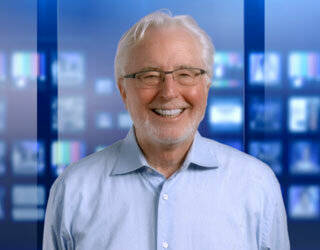 Green Screen, WebCasting, you name it, we have it! I love my job and I know that I’m good at it (humility aside) I’m also aware that my passion is the main reason I feel so accomplished and proud to do what I do. This entire business fascinates me and it always has. So much happens behind the scenes that someone unfamiliar with the film or television world just wouldn’t understand. We have not only become a family at our production company, we speak our own language, apple boxes, C-stands, clam shell, dolly, looping, gaffer, grip, grace, barn doors etc. I had the absolute honor to be present at The Women’s March in Washington, D.C. last year. Words fail to describe the exhilaration and energy that over one million women made when bonded together in solidarity. I have honestly never seen or felt anything quite like it.I operated the Presidential Teleprompters for Gloria Steinem and Ashley Judd. It was an unforgettable experience, to be feet away from two of the strongest and most empowered women ever!They delivered speeches that will ring in the ears of women and men forever. They will be remembered. Our cameraman, Gerald, was so eager to get the best shots that he had to stand up and walk across the top of a row of portable toilets just to see over the crowd. By the time he considered moving to another location he was almost trapped up there. The crowd had grown so thick that there wasn’t an easy way for him to get down. Gerald, always a trooper, was keenly aware of the importance of this event. He didn’t complain about the 5 hours of crouching on toilets. On the contrary, he too was grateful to be part of the magic and historic march. He has the shots to prove it. I was so impressed by the creativity of the women’s signs, clothing and, of course, the ubiquitous pink hats. It was wonderful to see so many families and children there as well.I witnessed the type of respect, dignity and power I longed for at this peaceful march. The sense of community and the strength of the collective voice, was evident and heard. That feeling was palpable. Our crew was strategically placed and took closer shots and stills, aerial and wide. Every aspect of that historic day is etched into our minds and our hearts, archived there forever. Weeks after we were still riding the gratitude and sheer sense of wonder that the crowd and its speakers harnessed that day. We still mention it often, over a year later! I was a part of recording history that day. I will be telling my grandchildren about it. The Walter E. Washington Convention Center opened in 2003. The convention center has hosted a number of important events, including official inauguration balls for Presidents Bush and Obama. The building has a 703,000-square-foot exhibition space and 77 meeting rooms. It is located in downtown D.C.We were thrilled to WebCast a concert for a select 200 people there last September. We look forward to returning.